"not stay in sleep position"
✅ Verified Review | The seat would not stay in sleep position, but turned back to normal position. Since this was a night flight, of turned out to be annoying. The flight attendent confirmed that it is broken and indicated to do something about but nothing happened, no solution, no feedback. ✅ Verified Review | Very cramped seating due to cramming like a sardine can. Think in terms of a budget airline for minimal legroom and comfort except it is long haul. On the outward flight there was definitely an issue with the air conditioning as the plane was like an oven with many passengers complaining. Service onboard was passable but lagging far behind Qatar Airways whom I fly with regularly. ✅ Verified Review | There was no place for anything in this Boeing 787-9 cabin and when it gets full you really feel it. They make flying uncomfortable and for a long haul flight it is unacceptable. 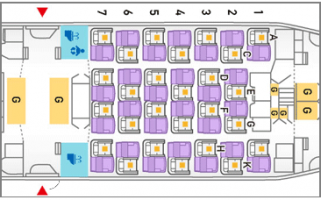 And this even in the new Boeing 787 planes which could be defined pretty nice for the passengers to have more leg room. Too bad for Etihad. "narrowest, hardest, least legroom seats"
✅ Verified Review | Flew to Singapore with Etihad on a Boeing 787-9 en route to Bali. Aircraft was spotless, smooth and quiet, the crew professional, the food was good and the IFE second to none. Why have Etihad ruined this with the narrowest, hardest, least legroom seats I have ever encountered? Ok I am 6'3" but my wife was also so uncomfortable and she is tiny. I am flying to Thailand at Christmas, but will not be flying Etihad if it is this aircraft. I fly to the UK regularly on the A380 which is excellent with Etihad, but come on Etihad, you have messed up here, you have reduced legroom and seat width, installed incredibly hard based seats that leave no room when the one in front is reclined and you have created the single most uncomfortable flying conditions I have ever encountered, and all for the sake of a few extra seats and a few quid saving, sorry but it has lost my custom as long as this otherwise beautiful aircraft is in this role fit. ✅ Verified Review | Seat 43K, I chose this seat just only to have one neighbor and I always choose these in Boeing 777 flights. 43K has good leg space give no third seat and the rear end of cabin curves. Window seat is good to have space between seat and window to tuck pillow and have good rest. Power socket is savior on long haul flights. Today, my wife and daughter are on board the Etihad flight EY 102 from JFK to TRV via Abu dhabi. They happened to get the seat 48D & 48E which are the last row in a particular section. The design of the aircraft is such that these seats are non-reclining. The total flight duration is 13 hours from JFK to AUH and for the entire 13 hours one has to sit up-right like prisoners and not passengers. 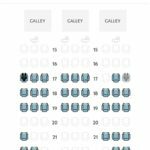 The co-passengers who paid the same money as me (or probably less) would be enjoying better seats, where my wife and 5 year old daughter were miserably left with non-reclining seats. Unfortunately I came to understand that I paid my hard earned money for getting the most uncomfortable sleep for my wife & daughter. I was forced to take seat 13B, the middle seat which I always strive to avoid, but no other choice during online checkin. However was pleasantly surprised with the seat width and leg room available. Generously spaced seat pitch with HD screen for inflight entertainment, and a power socket for each seat along with USB on screen. 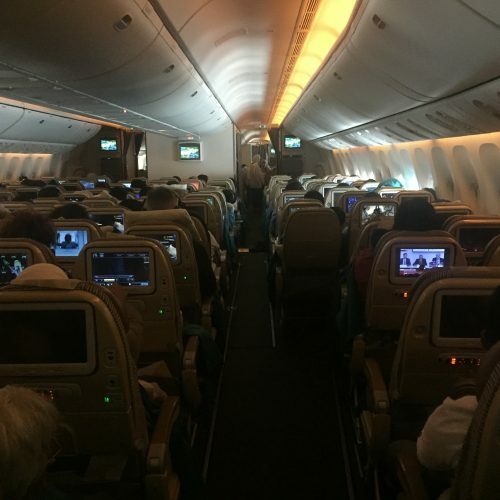 Seats 19 A/C on Boeing 777 were narrow, too close together, lacked padding and leg room. Because of the extra seat per row people and trolleys constantly bumped into the aisle seats making it most uncomfortable. Seats 28A and B were not much better - because they were so narrow it was impossible to shift position which we wanted to because they were so hard. The recline was minimal and if the seat in front was reclined it gave a really cramped feeling to those behind and made it hard to see the seat back screen. Squeezing in 10 abreast in economy on the 777 designed for 9 abreast. The seats were very narrow - my shoulders were against my seat mates the whole flight. I flew an A320 later and the seats were noticeably bigger. On a 14 hour flight Melbourne to Abu Dhabi it was very uncomfortable. There was a effective lumbar support on seat and a pillow that turned into a neck pillow which helped. Crew were not as strict on safety as in Australia - people got up to walk around during the climb as soon as the cabin crew were released but the seat belt sign was still on and we were climbing. Crew didn't seem to worry. 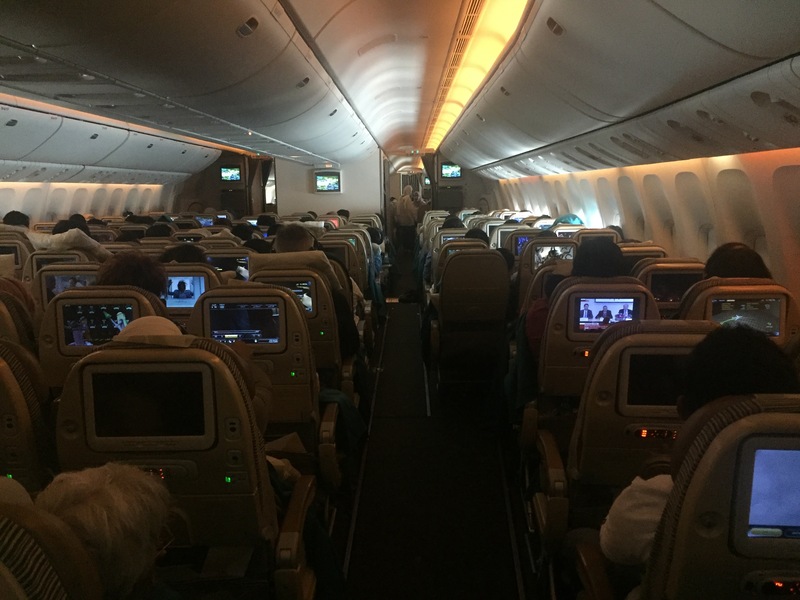 I know it's economy so you get a cheap seat but I would choose Singapore Airlines next time because on the Boeing 777 they have 9 abreast.